OMAHA, Neb. (KMTV) — Some of the most talented basketball tricksters will be performing in Omaha on Saturday. The Harlem Globetrotters are bringing back their one-of-a-kind basketball talents as part of their North American Fan Powered World Tour at the CHI Health Center-Omaha at 2 p.m.
Tickets can be purchased at all Ticketmaster retail ticket center locations or at the CHI Health Center Omaha Box Office. 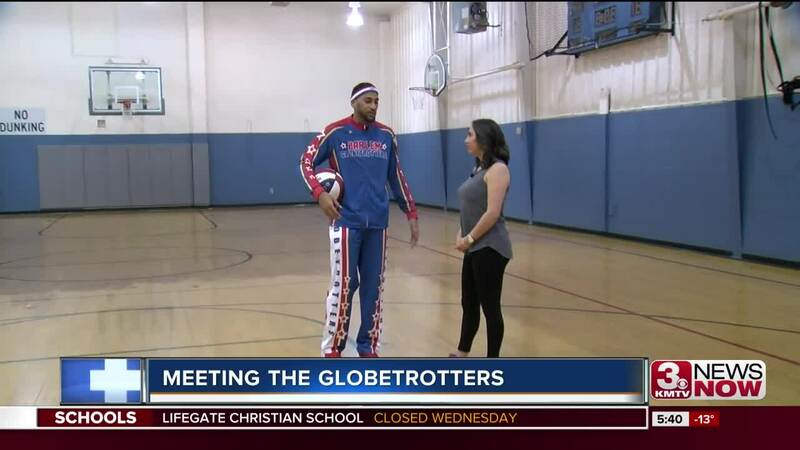 Ahead of the performance, Morning Anchor Maya Saenz met with Zeus McClurkin, Globetrotter star and multiple Guinness World Record title holder to discuss basketball and try some tricks. McClurkin's records include Most-behind-the-back three pointers in one minute and Most-blindfolded-basketball-dunks in one minute.